The Columbus Learning Cooperative serves to connect internship opportunities available in the community with youth looking to gain real world experience. While some schools or programs might only allow for a few hours of interaction a week, we provide our members with the flexibility to devote the time necessary to their internships. If you want to connect with some passionate and driven youth or if you just want to support our cause, consider becoming a partner. Let's work together in creating a brighter future for all. S.T.A.R.S. (Striving To Achieve Real Success) is an entrepreneurial, educational, experience, through music and the arts. S.T.A.R.S. provides an innovative approach to reach, and engage youth between the ages of eleven (11) and twenty-two (22) in unique audio, video and graphic arts programming designed to pique their interest. Many participants attend institutes of higher education including the Berklee College of Music, Columbia University and Full Sail while others own their own recording studios and or film studios. Several signed recording contracts with Sony Music, were winners of the Apollo, have appeared on American Idol, the “NewWave” International Competition, and have won countless awards. The program was created musician and producer Chris Powell who has worked with Stevie Wonder, Rick James, Destiny’s Child (Beyonce), Troop, Teen Dream and Paula Abdul. Powell has more than 30 years of music experience and was and artist and producer signed with Motown Records. The Cap City Biohackers are dedicated to demystifying and democratizing science (with an emphasis on biology and technology) for people of all backgrounds. Founded by Drs. David Taffany and Jessica Fleming in Columbus in 2015, the Cap City Biohackers are a part of the world-wide DIYBiomovement and the first established DIYBio group in Ohio. Since its founding, the Cap City Biohackers have formed a strong community around citizen science, including monthly lectures, discussions, and hands-on demonstrations. SIMPLR's is to prepare children for the future. They expose their children to the technologies, concepts, and ideas that will impact their lives including drones, virtual reality, computer science, augmented reality, and 3D printing. Our philosophy centers on mental development around the following key areas: Spatial-Intelligence, Play, Innovation, Literacy, Making, and Reasoning. Columbus Acro Play is a free, open group for adults to experiment with acro yoga postures. Acro yoga is fun a mix of partner acrobatics, Thai massage, and yoga. Essentially, it builds a practice of the understanding of trust. Columbus Learning Cooperative hosts acro jam sessions during the winter and occasional workshops from guest instructors. CCCO shares the principles and practices of Compassionate-Nonviolent Communication (NVC), as developed by the American psychologist, Dr. Marshall Rosenberg, and inspired by the nonviolence teachings of Mahatma Gandhi and Dr. Martin Luther King, Jr. CCCO works in partnership with other regional NVC organizations throughout the world, and with the international organization founded by Dr. Rosenberg, the Center for Nonviolent Communication. Red Oak is a nature immersion school for learners ages 5-12. Similar to the CLC in that all students register as homeschoolers, ROCS has a dedicated group of parents who are committed to the vision of personal, self-directed learning for each child and to cultivating wonder for the natural world. Their influences include Reggio Emilia, Waldorf, and Vygotsky. Red Oak is a great alternative to traditional school for families with younger children. Established in 2010, Bengali American Liberal Arts (BALA) Foundation is a nonprofit organization based in Columbus, Ohio. BALA is dedicated to promotion, celebration, and practice of all mother languages, specifically Bengali. BALA School volunteers contributes hundreds of hours every year infusing Bengali language and culture to the children growing up in the Central Ohio area through Sunday school and innovative social and cultural events. BALA is committed to proudly present the enlightened and diverse array of Bangla literature, art and culture to the ever-vibrant American multicultural fabric. 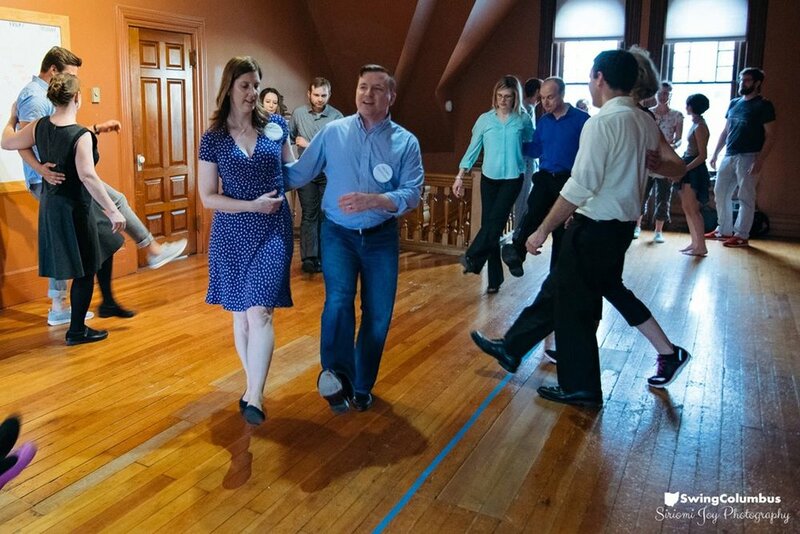 SwingColumbus is a not-for-profit educational and social organization dedicated to the preservation, study, teaching, enjoyment, and continuing evolution of swing dance. They host social dances and workshops around Columbus and teach weekly workshops on Thursday evenings at the Columbus Learning Cooperative. A proud chapter of The American Humanist Association, their mission is to provide a supportive local community for humanists and other nontheists in the Central Ohio area. They provide relevant secular presentations at their Humanist Program as well as a number of other educational events around rationality, mindfulness, and free thought. Their community has monthly events in the coop space. Thank you for offering to partner with us. We look forward to working together in enriching the lives of children, teens, and everyone in the community.